Only a little over 2 weeks until Spring for those in the Northern hemisphere! 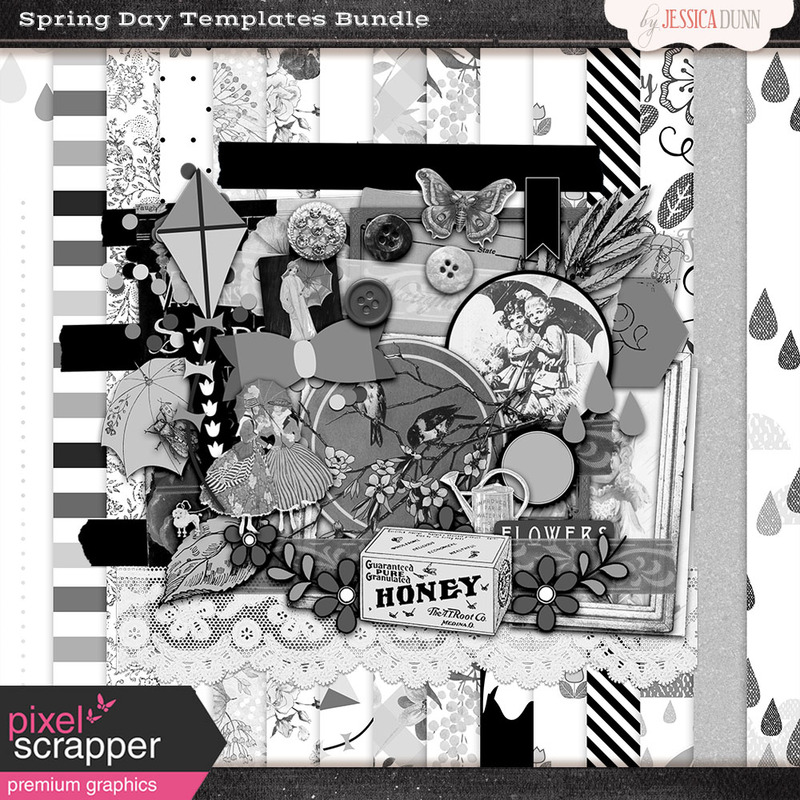 And on a springtime note I decided to try the Designer Challenge namely the Template Challenge – Springtime Clusters. 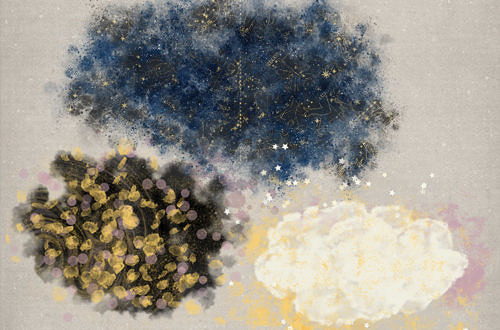 At first I just made clusters and then realized I needed to make templates. So I went back and did just that. 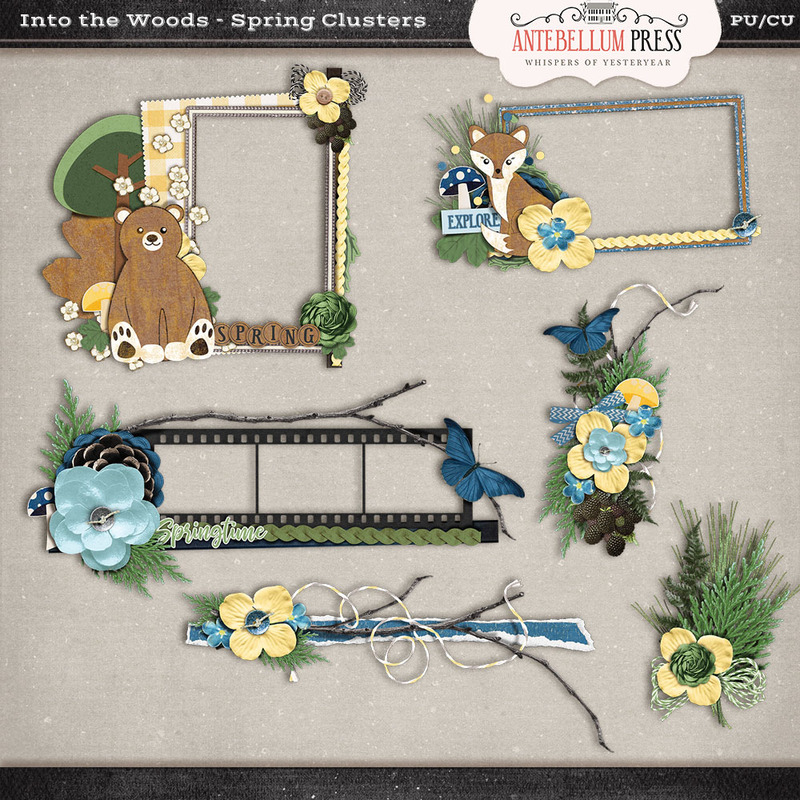 This is really one of my first times making clusters…Ive done a minimal amount in this area and mostly in layouts not for kits! So I’m trying out this new found skill! 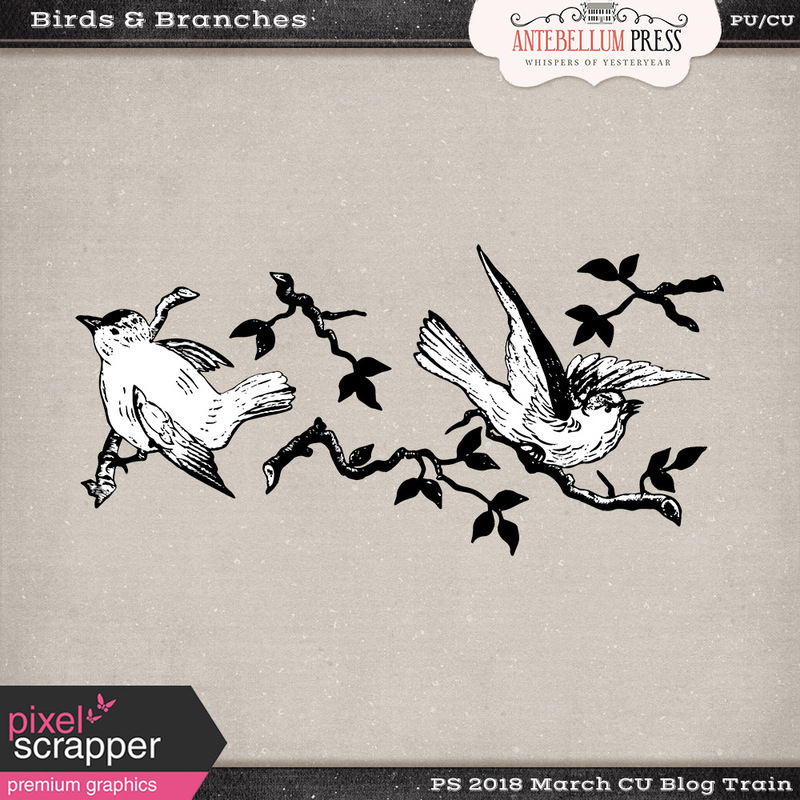 However, both are available at Pixel Scrapper – Into the Woods Clusters and Into the Woods Clusters Templates. 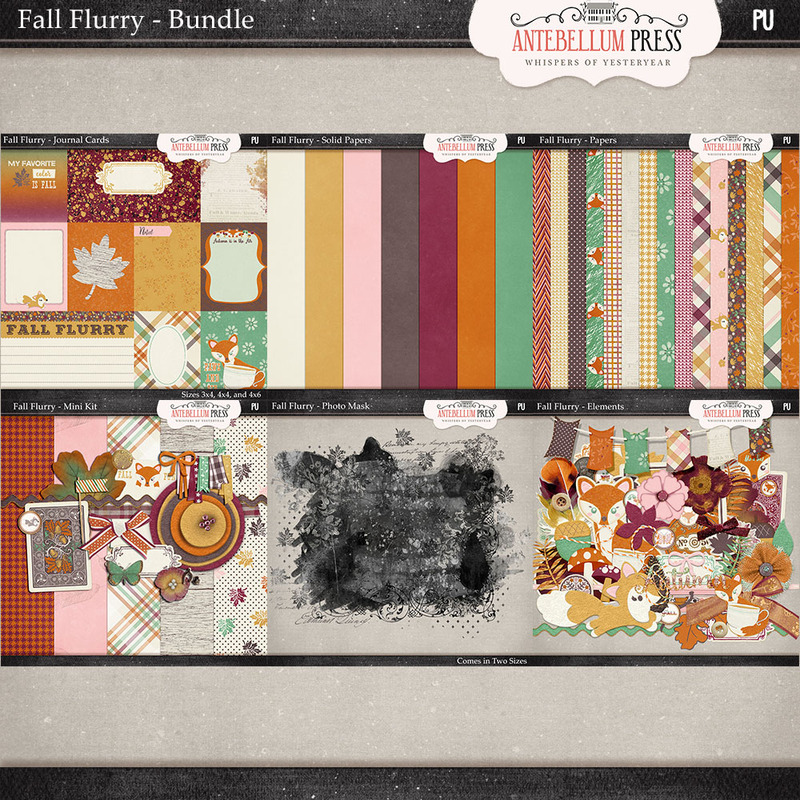 Fall Flurry New Products and Two Freebies! Such a fun sweet cluster! Thanks for sharing! Thank you Antonia! I appreciate you stopping by!